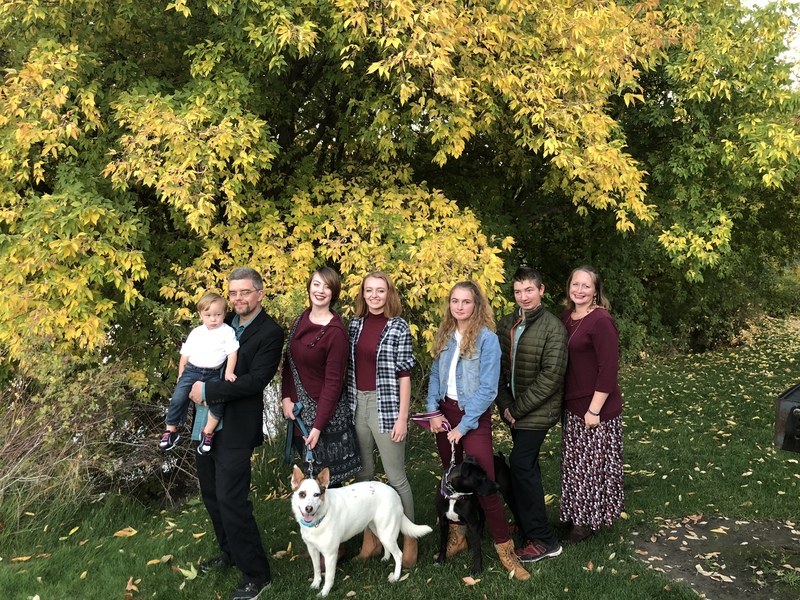 Pastor Joshua joined Grace Lutheran Church in January 2019. He grew up in various parts of western Washington and until just a few years ago, he lived in the State of Washington his whole life. He did spend a year in Japan during high school as an exchange student. In college (Washington State), he got a degree in criminal justice and elementary education. Why both you may be wondering? He was almost finished with the criminal justice one when he happened to volunteer at a kindergarten and he found that he loved teaching little kids so he switched over. After graduating, he worked in a child care center and taught as a substitute for a number of years. Later, he also tutored high school students. He remembers going to church as young child, but his parents got divorced when he was in first grade and then he moved to a new city with his mom and his sister and didn’t really attend church until he had been out of college for quite a while. While working at the place where he tutored, he met an older lady who invited him to dinner and it turned out her husband was a pastor and before too long, he was attending their church and soon enough Jesus saved him. And it only took about 30 years for Joshua to finally admit "I needed Him!" While at church, he met a stunning, beautiful and brilliant woman named Juli who, for some reason, agreed to marry him. She had three children, Josie, Bekah and Matthew. A year or so after they married, they moved to St. Louis so he could finish school to become a pastor. While there, right after they figured they wouldn't not a have a child together, Hezekiah, their baby came along. Then they moved to Idaho so that he could be the pastor for Redeemer Lutheran Church. They lived there for two years until Grace gave him a call. And now they are in Scappoose! He looks forward to getting to know you and your family. If you have any questions or just want to talk to me, please drop in. Robbie joined Grace Lutheran Church in February 2018.
Business Experience: accounting, human resources and business administration. Family: Dustin Tankersley (husand), Jordan Burum (son), Jillian Burum (daughter), Jackson Burum (son) and Josephine Burum-Tankersley (daughter).